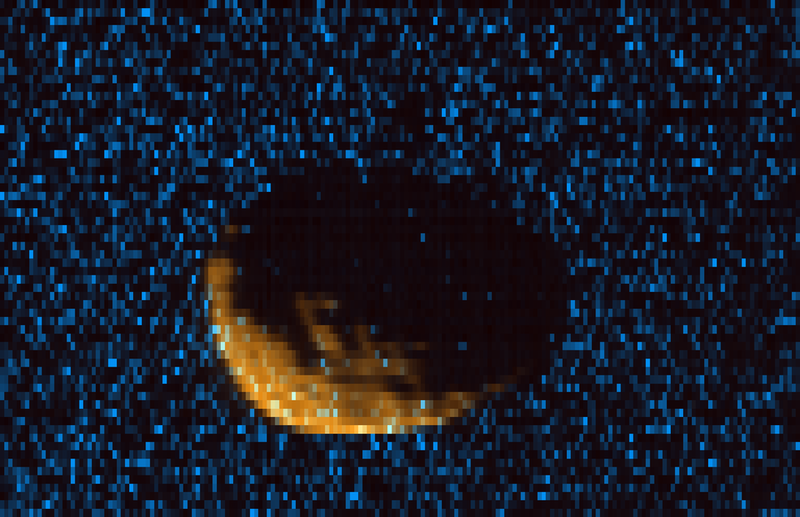 March 1, 2016 – NASA scientists are closer to solving the mystery of how Mars’ moon Phobos formed. 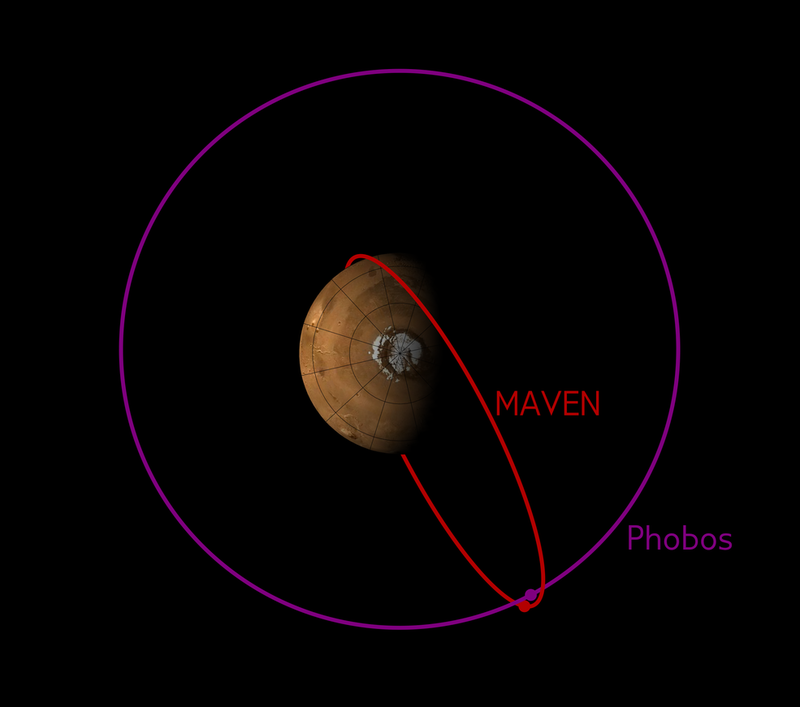 In late November and early December 2015, NASA’s Mars Atmosphere and Volatile Evolution (MAVEN) mission made a series of close approaches to the Martian moon Phobos, collecting data from within 300 miles (500 kilometers) of the moon. MAVEN’s principal investigator, Bruce Jakosky, is based at the University of Colorado’s Laboratory for Atmospheric and Space Physics, and NASA’s Goddard Space Flight Center in Greenbelt, Maryland, manages the MAVEN project. Partner institutions include Lockheed Martin, the University of California at Berkeley, and NASA’s Jet Propulsion Laboratory.